Yesterday, September 20th was International Red Panda Day. We were fortunate this year to meet a lot of red pandas – especially on our Tennessee Zoocation and at the National Zoo’s SCBI. Today’s montage is dedicated to some of those gorgeous creatures including Rocco, Wendee, James, Wyatt, Amaya, Biru, Azizi and Jabari. 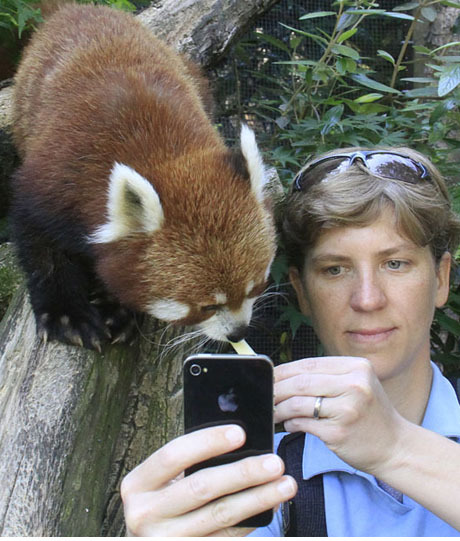 Here are seven fun things you may not know about red pandas. Sent from a Smart Phone but typed by a dumb typist.